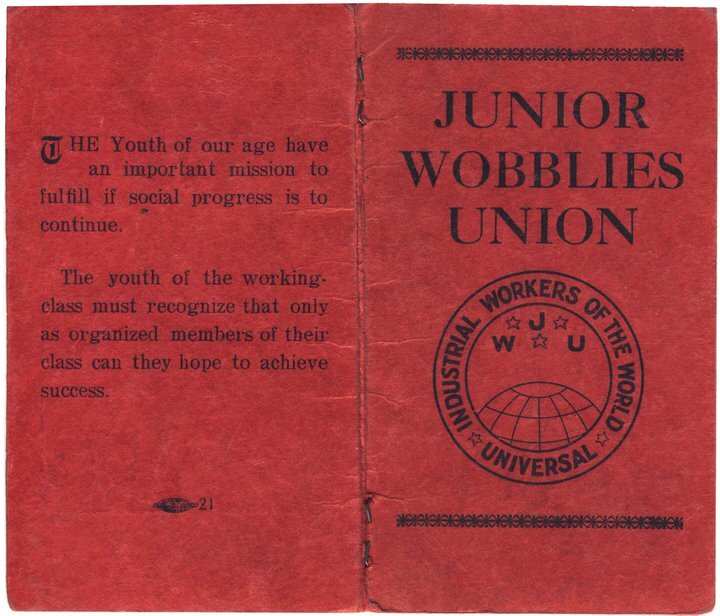 Jeff Jones talks about how he sees working class revolution as happening because of a multigenerational perspective that includes input and valuing children, parents and elderly members in the IWW. Snap! Snap! Working-class revolution in overnight fashion. A spark lights when the general strike is struck, or so it goes in a good militant myth. Organize the workplace and the revolution will come. The first attempt at organizing may not be a win. The initial loss may lead to burnout for the young militant. But working-class revolution does not happen overnight. It is a multigenerational continuity that supplies the working class with its resiliency, its backbone. It is this backbone that creates the cultural structures that uphold a long-term, non-hierarchical, syndicalist vision and strategy. Young militants have often had to recreate the wheel with each new generation. We have had to learn not just theory and particular tactics, but how to care for ourselves and guard against burnout. In contrast, a strong, supportive and relational community helps build our strength so that we can keep fighting against the Goliath of the capitalist class for as long as it takes. The talk of building a resistant working- class community has always been with us, but it has not been given the proper treatment it deserves. Many young militant groups will signal that young children are not wanted at their meetings. This can come in the form of straightforward comments against having children at meetings. Sometimes it comes in the form of rolled eyes, snickers, sighs, or a belief that talking about childcare is not “their” responsibility. When childcare is addressed it is usually a parent who becomes the de facto childcare provider, rendering them mute at most meetings. If it is not the parent, then we tend to see the same people volunteering for childcare over and over again, as most people will not step up for this type of help. The volunteers also tend to be the few women in each group, thus reinforcing the patriarchal norm. Having a multigenerational union is not limited to only bringing in parents and children but needs to include our elders. On occasion older workers who show up feel alienated or disrespected, as many young militants focus only on the newest and latest tactics and theory. Yet it is our elders who hold the living memories of our past struggles. They have seen many times what has worked and what has not. We don’t need to recreate the wheel each time a new struggle rears its ugly head. We can start from the rich history of solidarity of a multigenerational union. This solidarity and respect for our historical and collective wisdom will only stimulate new creative flowers to bloom. A multigenerational union must include those involved in their own families. An anti-authoritarian family knows that struggle is not about an immediate win, but about the future. We know how to take a beating and how to throw a party that night. The anti-capitalist struggle moves from a day-to-day vision of a better life of wages, respect, safety and self-management, to a deeper, relational understanding that this struggle is about our children and their children and all beings. By supporting a multigenerational union we are actively showing solidarity for all our fellow workers. Solidarity will bring in new members while supporting active members. This support will increase the continuity of the struggle—continuity because the union will not be based on a few shining personalities but on the work of a multigenerational community. One can drop out for awhile, if need be, and know that the union will be there when they come back. A multigenerational union is the bread and butter of an industrial union.